Zayde's Turntable - a ca. 1910 "Symphony" brand phonograph, manufactured in Canton, PA. "The Phonograph of the Heart." 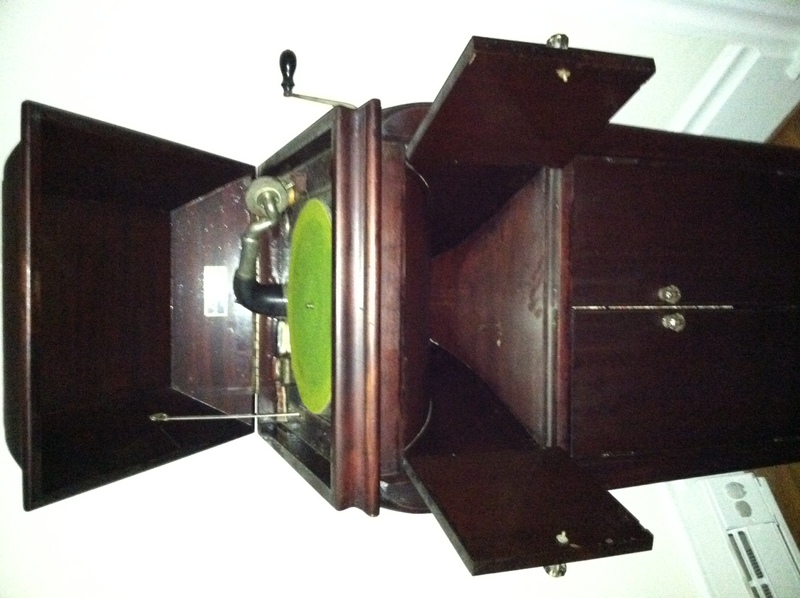 In the late 1990s I received a working vintage “Symphony” phonograph from my Zayde as a gift. Over the next few years I accumulated a collection of 78-RPM records – some unplanned and others carefully researched. After college, however, my collection languished; I recently delved back into the vintage vinyl, dusted off the machine, and fired it up. I discovered more interesting and foot-tapping albums in my collection than I had ever remembered gathering in the first place. My revived interested inspired new research and reading, in which I also discovered an admonition from a “professional” collector against using an actual vintage phonograph to play these antique treasures (whoops). I began researching contemporary record players and decided to use the opportunity to also begin digitizing my collection. With a Crosley CR6001A archiver USB turntable and a fresh copy of Audacity on my MacBook I was ready to go. It was then I was hit by a little inspiration. The result was Zayde’s Turntable. Here I document the “biography” of a somewhat random album pulled from my collection in the course of my digitization work. Not every record is “valuable” to serious collectors; not every record is good music even. But every record offers a little bit of history, a little bit of art, and, in its own way, a little bit of life – in a ten-inch diameter disc of 100-year old plastic.